After “a week of scheming, betrayal, and Machiavellian ambition,” Australians have a new prime minister, said Tom McIlroy in the Australian Financial Review. 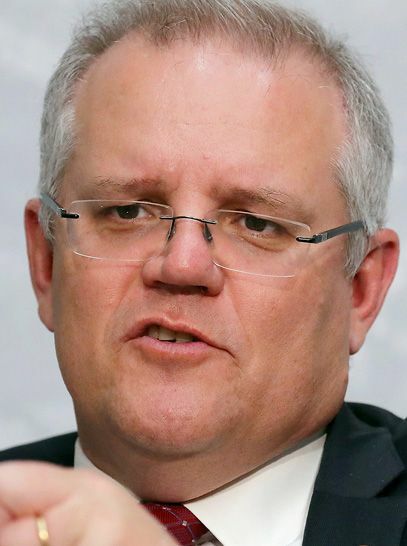 Former national treasurer Scott Morrison, 50, was sworn in to the top job last week after Prime Minister Malcolm Turnbull was toppled by a revolt in the ruling center-right Liberal Party. Turnbull’s downfall was his championing of the National Energy Guarantee, a policy intended to shrink energy prices and tackle climate change by cutting emissions. But that plan sparked a rebellion by hard-liners in his party, led by former Prime Minister Tony Abbott, who hates Turnbull for ousting him in a 2015 leadership challenge. They wanted coal-exporting Australia to use tax dollars to subsidize coal-fired power plants rather than underwrite solar, wind, and other renewable forms of energy. Once Turnbull “blinked” and gutted the policy, the hard-liners saw the prime minister was politically weak, and Abbott’s frontman—anti-immigrant Home Affairs Minister Peter Dutton—challenged him. In the end, though, Dutton failed, and the more centrist Morrison won the internal party vote. What a “pointless” display of “factional foot-stamping,” said Peter Hartcher in The Sydney Morning Herald. The right-wingers among the Liberals have “destabilized the government, damaged the standing of the ruling party, unsettled the country, and made Australian democracy an even bigger laughingstock.” And they didn’t even get their man into office. We now have a prime minister who will govern just like Turnbull only with even less charisma, a man who has never faced the national electorate. Morrison carries heavy baggage: He was the architect of a much-hated and since dumped $12 billion corporate tax cut for the country’s four biggest banks, and he once posed in Parliament holding aloft a lump of coal as the glorious future of energy. Morrison can’t govern with a large chunk of his Liberal Party “bruised and brooding,” said The Age in an editorial. If he truly has the vision to lead, he should call an election now. “The public rightly feels let down and deserves to be the collective arbiter” of its future.